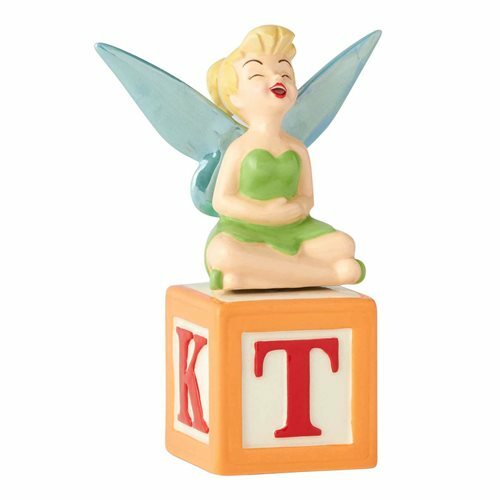 Tink looks mighty happy in this colorful Peter Pan Tinker Bell on Block Salt and Pepper Shaker Set. Handcrafted and hand painted to precision, the 2 5/8-inch tall ceramic shakers capture the playful personality of Tinker Bell from Walt Disney's Peter Pan. The sassy fairy laughs as she sits cross-legged on an alphabet block from the Darling nursery!